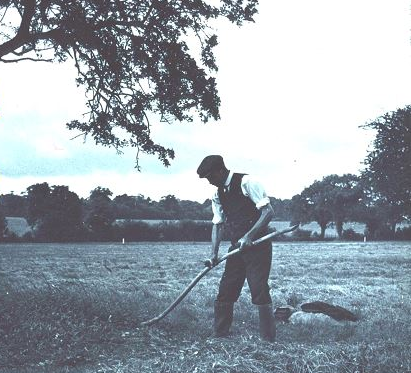 Since the start of the year the West Wickham Commons, along with much of the country, have experienced several days and nights of stormy weather. Wind gusts of up to 60mph have repeatedly tested the resilience of the veteran oak pollards on West Wickham Common and the hill top woodland canopy at Spring Park. To date, both sites have fared well with no large trees blown over and just a single large branch lost from a maiden oak on West Wickham Common. Although it’s impossible to predict how high winds may affect our woodlands, we have attempted to build in resilience by regularly checking the health of our trees along boundaries, road edges and heavily used paths. 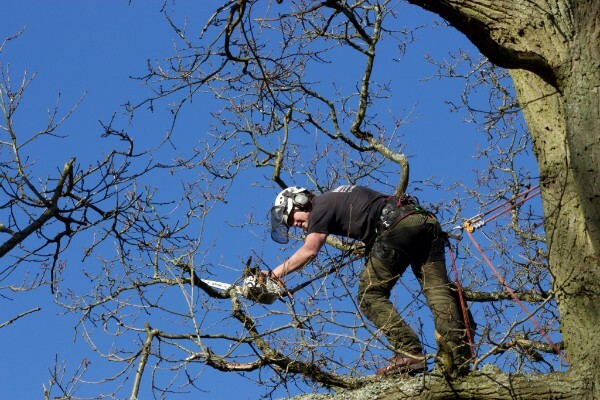 In many cases, careful tree surgery has reduced the likelihood of a damaged or diseased tree failing, whilst retaining important habitat features for bats, stag beetles and birds. Our ranger was jointed by 18 people for his ‘Bumps and lumps’ walk across Spring Park last month. The attendees learnt interesting facts about Spring Park including the origin of the brick path through the woods (Canadian Army in WW2), heard the tale of the restored pond that probably never was a pond, and discovered the old Kent and Surrey County boundary bank. 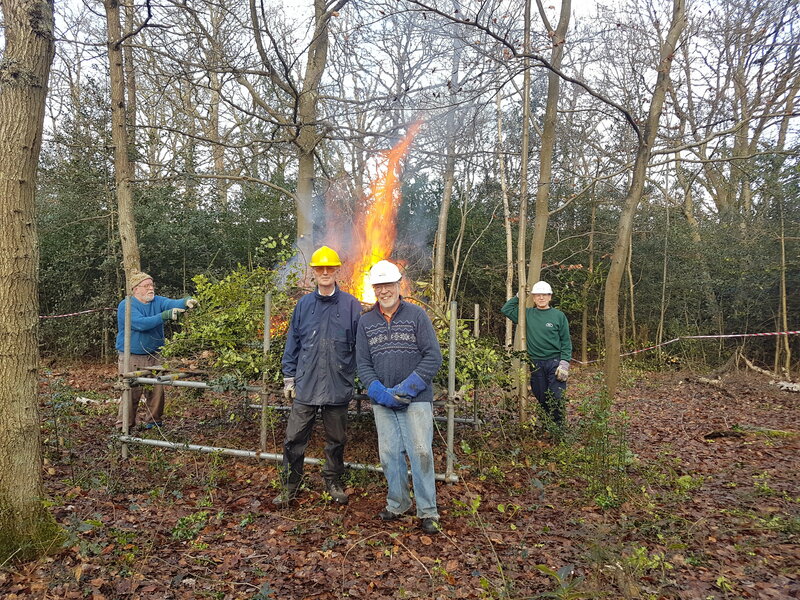 In January our WWaSP volunteers extended the new woodland glade on West Wickham Common. They have been very busy clearing the hazel and holly in the area and achieved a huge difference. The increased sunlight reaching the ground will encourage butterflies and other insects to make the glade their home, and plants will establish on the bare soils. It’s even possible that long dormant heather seeds will start to germinate on this former heathland. Clearing holly from an earthworks embankment on West Wickham Common. Meet in the car park off Croydon Road at 10am.